It's that time of year when ornaments decorate trees, lights twinkle around homes and elves visit classrooms. At River Mill Elementary School, several classes have had tiny visitors from the North Pole spend the month with them to provide good cheer and share valuable knowledge. In Hillary Tidd's fourth grade class, an elf named Frederick visited with students for the 12 days leading up to winter break. Each morning, Frederick moved to a different spot around the room before students arrived. One evening when students were away, he drew holiday designs like candy canes and igloos on their desks. During Frederick's stay, students also participated in 'elfcapades,' in which they completed acts of kindness for others in the school community, such as making cards for their principal, writing notes for the janitor and creating notes or drawings for one another. "They really took each other into consideration," Tidd said. "They made sure everyone had something special. Someone drew Pokemon because they knew (the person they were drawing for) likes that." 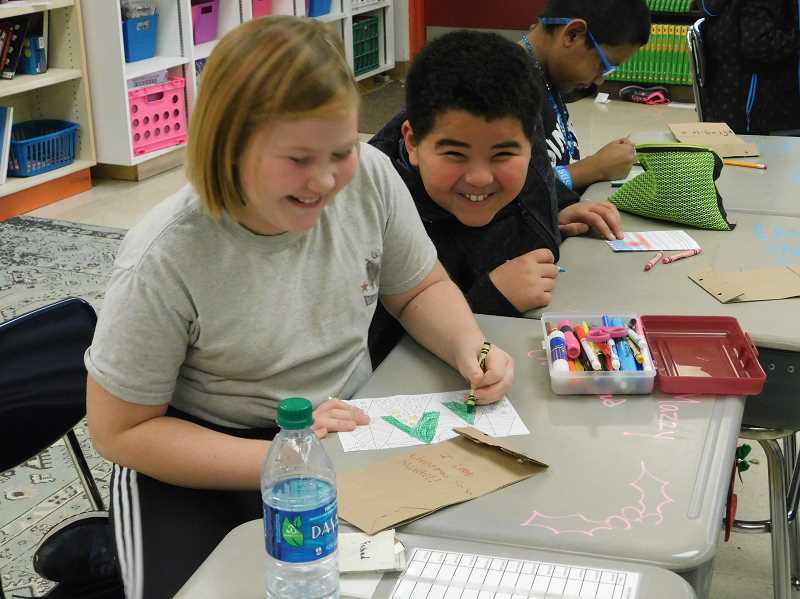 While Frederick was visiting their classroom, students also created holiday ornaments and wrote applications to be elves themselves. "I love Santa, and I'd love to be an elf," said Riley Tkeeney, discussing what she wrote on her application. "I would be a nice elf because I like to smile at people." Annika Henry was also eager to be an elf. "I love Christmas, and if I were able to I would love taking care of the reindeer," she said. "I love helping people." Students have enjoyed learning about kindness and elves from Frederick. "I like coming to school and seeing him in different places," said Haley McDonald. "I liked naming him. We voted on his name." Tidd believes the kindness that Frederick teaches is one of the most helpful lessons he brings to the classroom. "(The elfcapades) aren't just fun activities. They teach how to make people feel good as well," she said. Meanwhile, an elf known as the Kindness Helper has taken up residence in Sara Schultz's first grade classroom. Just like Frederick, he moves to a new spot in the classroom each morning. 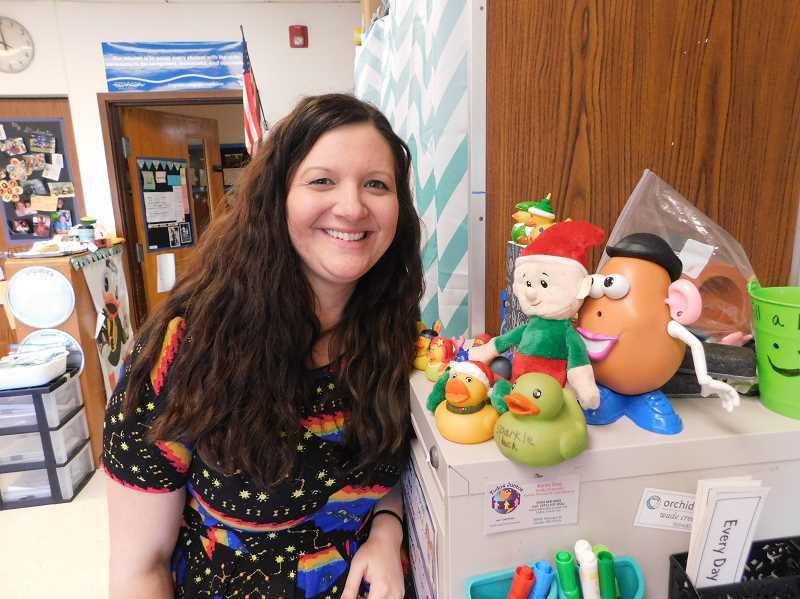 "The students really look forward to finding where the Kindness Helper is hiding each morning," Schultz said. "This makes it kind of magical in their eyes." The Kindness Helper has hidden in the classroom's calendar corner, among the lights in the Christmas tree and in Schultz's desk chair while reading a book, among other locations. As his name indicates, he helps students learn about kindness. "He writes notes for us to be kind," said Hayley Savedra, a student who met the elf. In addition to notes, the Kindness Helper also brings videos and songs about caring for one another. "He's full of surprises," added Bradyn Nation, another one of the Kindness Helper's friends. Schultz noted that the elf's activities focus on what kindness looks, sounds and feels like. "Just like reading and math, kindness is something that is important to teach to students," she said. "It is something we work on all school year, but I think it's so important to really focus in on it around the holiday season when kids are thinking about presents and gifts. The Kindness Helper prompts and challenges the students to spread joy, love, peace and kindness in December." her students experience the magic of the holiday season, particularly through generous acts. "I love seeing the joy in my students' eyes when they do a kind deed for someone else," she said. "Kindness is something we can all practice and celebrate no matter our religion or beliefs."